Is it safe to dye your hair while trying to conceive? 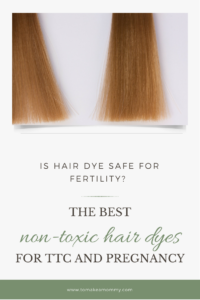 Luckily the answer is yes, BUT you have to use non-toxic dyes that are SAFE for fertility and pregnancy. 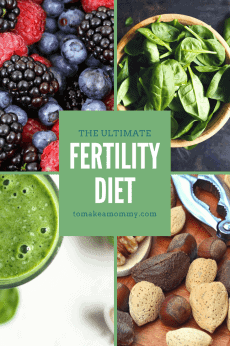 And, don’t think it only matters if you are ovulating or in the two week wait- the harmful chemicals in mainstream hair dyes can stay in your system for weeks, so you need to avoid them the entire time you are trying to conceive or pregnant. In this blog post I’m going to provide you with some hair dye options that are safer while trying to conceive, during fertility treatments, or while pregnant. The problem for fertility or for pregnancy with mainstream hair dyes, isn’t necessarily with the harsh chemicals that are used, but with the additives. While those harsh hair dye chemicals, like aminophenol, phenylenediamine, ethonalamines, and coal tar, are poisons that may cause cancer in animals, they don’t have a direct link to fertility. 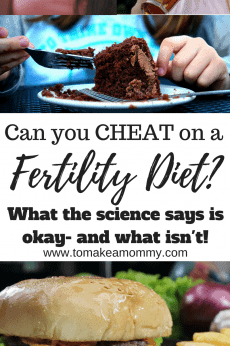 What DOES have a direct and harmful link to fertility are the additives that most of these products have- synthetic fragrance (“parfum” or “fragrance”), phthalates, and parabens – all endocrine disruptors that can alter your hormones, decrease fertility in men, and women, cause miscarriage and pregnancy complications, and lead to diminished ovarian reserve. 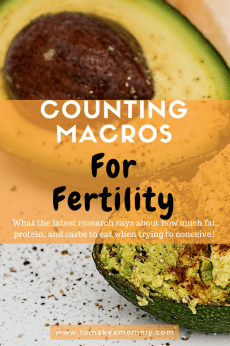 Click here to read my overview of what the research says about these toxins and fertility. So, what are you to do? With 75% of women in the US admitting to dying their hair, there is a good chance that you are looking for some kind of a way to dye your hair while trying to conceive. Many women will chose to use regular hair dyes despite the toxic ingredients. 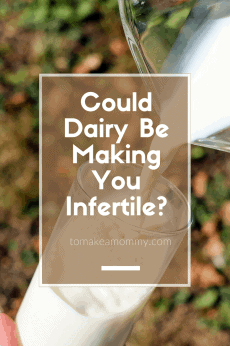 However, if you are struggling with infertility, or going through infertility treatments, you will probably want another option. 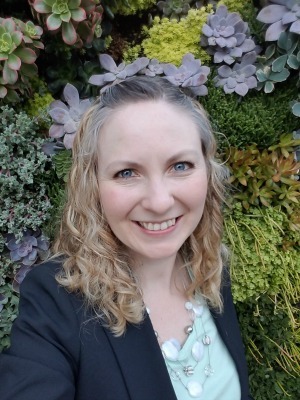 This isn’t just crunchy blogger Anna telling you to avoid toxins- even mainstream fertility clinics like Columbia Fertility advise patients to avoid dying their hair during IVF treatment, and they recommend waiting until the baby is “in your arms” if at all possible. Your absolute best option is to forgo your vanity and not dye your hair at all, or only use super gentle non toxic hair treatments at home- like lemon juice and chamomile for blondes, calendula and hibiscus flowers for red hair, nettle, rosemary, and sage for brown hair, and black walnut powder for black hair. You can easily google instructions on how to do these. However, these really only work well for strengthening your existing color, and they don’t work so well for hiding your grays. Light Mountain– This brand is gluten-free, vegan, and has no corn derivatives, and no synthetic chemicals. They are a henna-based hair dye that doesn’t use any peroxide or ammonia, nor any endocrine disruptors like phthalates, parabens, or artificial fragrances. They only ever use three different ingredients depending on the shade- henna, indigo, and senna leaf powders. Their dyes are ranked a 1 on EWG- the best available for hair dyes. This brand is fantastic if you are looking for a shade of red, brown, or black hair. Here is their shade chart for colors, and here is their shade chart for coloring the gray. Why don’t I use these? Well, they don’t have an option for blonde, and I will vainly hold on to my blonde for as long as possible! Light Mountain Hair Dyes and Color the Grays are available on Amazon. Be sure to read reviews for colors to determine what to order for YOU! Surya Brasil Henna– This company promises no ammonia, PPD, parabens, propylene glycol, peroxide, resorcinol, metallic salts, artificial fragrance (which=phthalates), mineral oils, or GMO’s. I looked through their website and can see that some of their products really only have a handful of natural ingredients, but some of them do have some chemicals. They are not the same harsh chemicals in traditional dyes however, which is why the EWG rates them so well. Their dyes are also ranked a 1 on EWG- the best available for hair dyes. Surya Brasil gets good reviews on Amazon where you can purchase them, but always be sure to read the details! They do have a Swedish Blond option, but apparently it only works if you started truly Swedish blond. Their Strawberry Blonde and Golden Blonde products get reasonable reviews, so maybe I will try them in the future. Redken Chromatics Beyond Cover Hair Color– This color line is developed especially for people with 75% or more gray. Although there are a couple chemicals, they are not harsh, and the EWG only rates them as a 2, which is considered “safe.” They say the offer 100% gray coverage, with zero ammonia, and zero fragrance, which I assume means no phthalates. Unfortunately, I can’t find any full ingredient list, and it looks like maybe these are meant more for salon use than anything. They are, however, available on Amazon in a number of colors, and are affordable! There is one more option for those of that the EWG rates well and that is these little mascara-like No Gray Quick Fix Instant Touch-Up for Gray Roots products that are available on Amazon. They are rated with a 1, but their Amazon reviews are kind of a mixed bag. You’ll notice I didn’t mention that I use any of the above! That is true. This is why- I was born a blonde and stayed a blonde until I was about 22 when my hair started to darken. At 24 I started to go gray on the sides. After half a decade of horrible home-care, and then a bad salon in a rural area, I moved to DC and found the best blonde highlighter in the city. For $200 every 3-4 months he gave me gorgeous blonde highlights. Then two things happened- I started dealing with infertility and I moved to the suburbs. Right when I got serious about eliminating fertility-harming toxins, cleaning up my diet, and developing a fertility mind-body practice, I decided that I wasn’t going to dye my hair any more. Then, I got pregnant in about 2.5 months, and I was scared to use any dye while pregnant (wish I had known about the options up above!!). However, at about six months pregnant my hair looked so gray, dark, and awful I couldn’t stand it anymore. I started googling, and lo and behold, there was an organic hair salon in Alexandria! It is called Bellawest and I have been a devotee for the last two plus years. They use Organic Way hair dyes which aren’t perfect, but give me beautiful, blonde highlights and truly hide my grays. They do have some harsh chemicals in them (that is why they work so well on blondes), but no ammonia, no parabens, no polyethylene glycols, no phthalates, no parfums/artificial fragrance, and no paraffins. 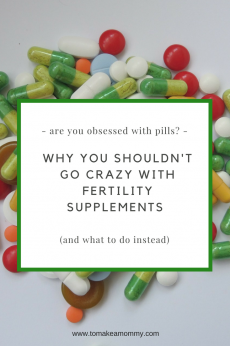 So, basically, there is nothing in them that would harm fertility. The salon also has a rule against perfumes to make sure phthalates don’t sneak in the door. So, if you are vain like me, and willing to spend $200 a pop for highlights and a cut (same I was spending at the toxic-mainstream salon), then google and see if there is an organic salon near you! Do you dye your hair? Are you willing to stop or look into non-toxic options to help you conceive and have a healthy pregnancy? 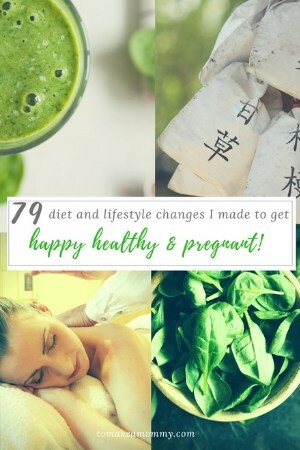 « Sunshine & Fertility: Get Outside to Get Pregnant! Have you heard of Hairprint, and if so what do you think? I had not heard of it, but it looks pretty darn good to me!! Let me know if you like it! Hi Elizabeth!! Do your best! Wear gloves and if possible ventilate, i.e., open the windows? I love Lush Henna but I already have very dark hair. It works great to cover grays.